An incredible sight happened in Vietnam, and thanks to the camera of this driver’s car, the event was recorded. This driver noticed that the front truck began to slow, and then he noticed something moving. 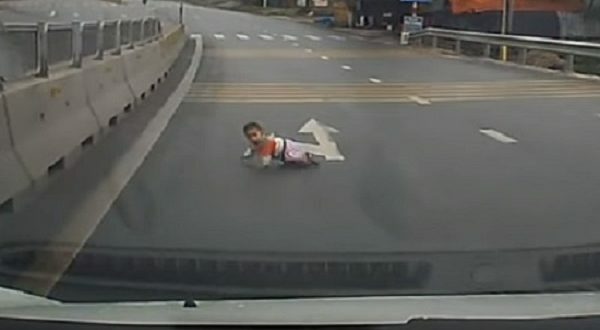 As he approached, he saw a baby crawling across the highway.